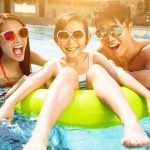 Pool safety concerns may be the number one reason homeowners cite for not installing a swimming pool on their property. 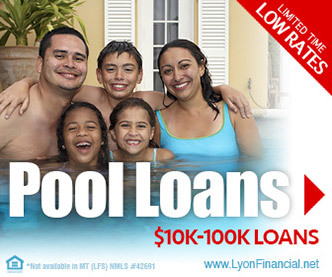 Many people know that owning a pool could enhance their lifestyle by improving their property values and offering a convenient place to enjoy regular exercise and recreation with friends and family. But some of them still put off getting a pool due to fears about safety. 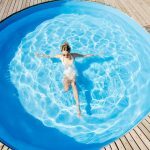 Following these safety tips listed below could help to alleviate many of these common anxieties about pool ownership. 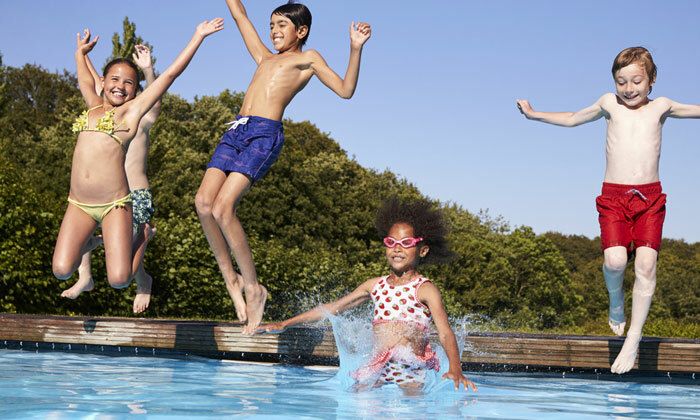 This four-part series will highlight four different aspects of pool safety: preventing slip and fall accidents, drowning prevention, pool chemical safety, and rule implementation. This first article will address the prevention of slip and fall accidents. Slippery pool decks can lead to nasty slip and fall accidents resulting in sometimes quite serious injuries. 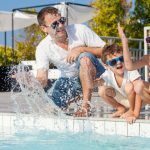 In order to prevent these types of unfortunate mishaps, it’s important to incorporate some preventative maintenance steps into your routine as well as incorporate some basic guidelines for your backyard pool. Pool decks, which are already slippery when wet, can tend to accumulate scum, leaves, algae, and other substances that can raise the potential for slip and fall accidents around your pool. That’s why cleaning your pool deck faithfully to get rid of this type of debris is an absolute must. Every few days – or even daily if you notice leaves, dirt, or algae starting to appear – use your hose to wash the debris away. This simple maintenance step doesn’t require you to purchase any special equipment. Simply take your garden hose, attach a basic spray nozzle, and turn the water on full blast. Aim it all around your deck until the deck looks clear. You’ll want to spray outward toward the edges of the deck so you don’t push the scum into your pool. A professional pool maintenance company can also acid wash your pool, including the deck, to get it extra clean. 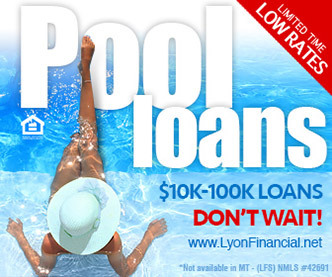 According to some experts, a well-maintained pool should only need to be acid washed every five to seven years. It’s best to leave acid washing to professionals to make sure they include just the right amount of acid for the size of your pool area. Slip and fall accidents can occur inside the pool as well as outside. Algae can make the steps leading into your pool as well as interior surfaces slippery and potentially dangerous for those seeking to enter, exit, or move around inside the pool. To help ensure that people using your pool can get a good grip while walking or climbing in and out of the pool, be sure to clean your pool’s interior and exterior tile surfaces often. 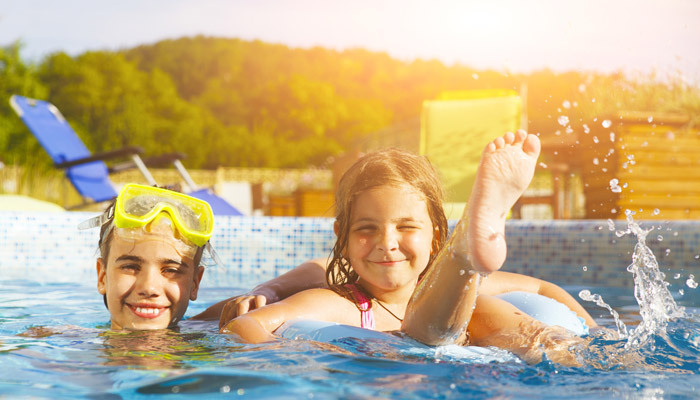 Even if your pool tiles and deck are meticulously cleaned on a regular basis, you still won’t be able to prevent slip and fall accidents if swimmers don’t follow basic safety rules. 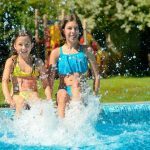 One of the most crucial safety rules of all to establish and strictly enforce for your backyard pool is a no running rule. The reason for the rule is obvious: when people run on wet surfaces it’s easy for them to lose their balance, slip, and fall. 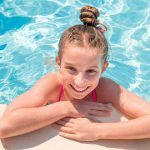 Kids and teens who are playing around in the pool can sometimes get carried away and forget to watch their speed on the pool deck. If they run, you as an adult homeowner should immediately correct them. 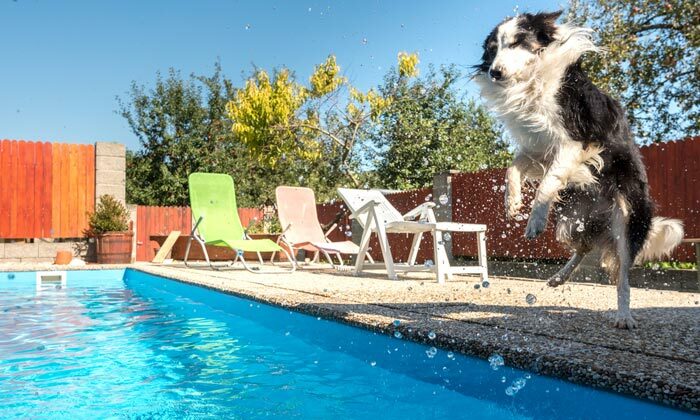 If there’s a particular violator of this rule who runs repeatedly, don’t allow them to use your pool until they’re willing to respect this rule. 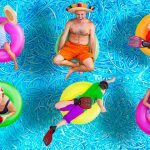 This strict enforcement will not only help to keep swimmers safe but will also help to potentially lessen your liability in the event of a slip and fall accident around your pool. These three tips are critical to prevent slip and fall accidents in and around your pool. 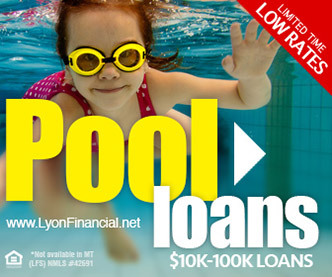 To find out more pool safety tips, read the next article in this important series.